Arguably the best value Les Paul available. he photos you see illustrates just how stunning the Epiphone Les Paul can look….I mean, wow, that burst is beautifully executed and the finish is flawless. 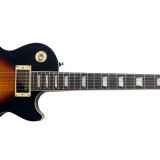 But it’s not just all good looks on this Epiphone Tribute Plus, which we at Guitar Verdict see as Epiphone’s top of the line Les Paul (preferable in our opinion to the more expensive Ultra III). A quick skim through the specifications reveals some very well selected upgrades, most notably the Gibson ’57 pickups which definitely deliver a superb tone. In fact, the cost of these pickups alone accounts for more than a third of what it will cost you to buy this bad boy. Then there’s the deep set neck which helps sustain, the coil tapped pickups effectively allow you to turn each humbucker into a single coil pickup (see my post covering coil splitting if you’re not sure what I mean here). Grover locking tuners are a nice touch, as is the Locktone bridge, meaning that string changes aren’t accompanied by the bridge piece annoyingly coming loose. The bookmatched flame maple cap is extremely high quality, well on our model anyway – as this can be a point of variation among all flame maple capped guitars. I’m not a major fan of the strap locks that came with the guitar, they don’t snap in like others I’ve used, but this is an extra accessory that you can easily leave in the case and use the regular strap buttons. I believe that this is as close as you can get to a Gibson Les Paul and is a third of the price, depending where you shop. 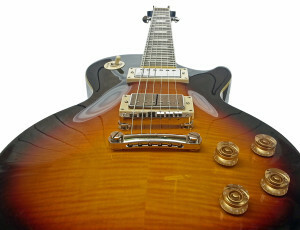 There are many well made LP style guitars, but none can boast a relationship with Gibson such that Epiphone can. These guitars are made in China by Epiphone’s skilled builders…then add the genuine Gibson pickups, Switchcraft, Locktone and Grover components and there’s very little not to like about this guitar. Probably the most popular feature on this model is the genuine Gibson pickups, in this case the neck pickup is a Gibson USA ’57 Classic, and it gives a (you guessed it) a “classic” tone. It’s throaty when pushed, but mellow and warm as you’d expect. In the bridge position is the Gibson ’57 Classic Plus. The “plus” means that it is slightly higher wound, so it has more output, but it doesn’t lose that soul that the neck pickup delivers in spades. It’s the same tone, but much hotter with clearer mids and top end clarity. Both pickups feature Alnico II magnets. The coil tapped pickups are engaged by lifting the tone control on each pickup. 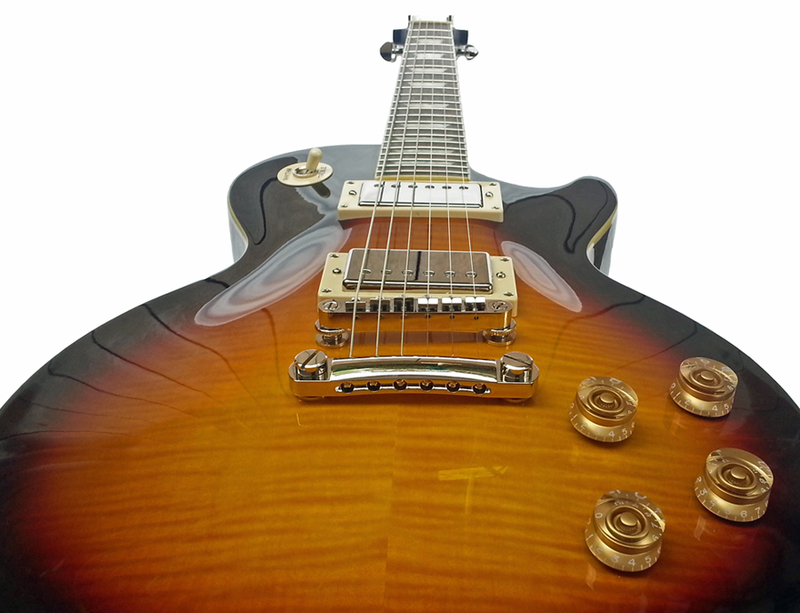 You can coil tap, one, both or neither pickups to find the tone you want. Now I’m not going to tell you that your Les Paul will sound like a strat when you use this feature, but it sounds like a lower output, more focused humbucker. Whichever way you look at this feature, you get 3 more tones to play with, so it can only be a good thing. If you’re a bit of a traditionalist and just want that humbucker tone, cool, just don’t lift the tone dials. Our model was perfectly intonated upon arrival. The action was a little high for my liking, but a quick adjustment had it spot on. The higher action didn’t hinder play-ability at all, it’s just a preference. The neck profile is described as a “1960’s slim taper” and is pretty much perfect for me. Thin enough for an average player to comfortably reach their thumb over for Hendrix like chords, but thick enough so that you feel there is something substantial to hold. I would be surprised if this profile doesn’t work for all except those who really insist on a baseball-bat-like neck profile. So how does it come together….well, I think you know pretty quickly with a guitar and I knew within minutes. It’s just easy. Of course, upper fret access isn’t the best on any Les Paul, or at least for those who aren’t used to it…but with some adjustment, you can nail whole tone bends on the 22nd fret. One thing that does surprise a little is the weight. It is heavy! It definitely shows that this is solid mahogany, rather than weight relieved mahogany or a lighter alternative. I like this fact, it makes the guitar feel substantial, solid…but for those looking for a lightweight guitar to play standing all day, you might need to invest in a very supportive strap. I’m as yet undecided on the Grover Locking Tuners. They were fine, and they do make string changes a breeze, but I would prefer the tulip shaped machine heads rather than the larger oval shaped ones. That’s something fairly subjective, as some of you may prefer the larger chrome tuning pegs. The hard case that comes with the Tribute Plus is very high quality, perfectly shaped and has a plush interior that you feel a finish like this really needs. I’d feel less comfortable placing something so strikingly gorgeous into a less comfy bed. I found no sign of build issues at all on the guitar. Joins were beautifully smoothed, particularly in the neck pocket where it is so noticeable if there are gaps or lips protruding. The inlays are all perfectly level and aligned, frets are spot on. If I had one issue with the build, there was a slight wobble on the volume control for the bridge (treble) pickup, but it really didn’t cause any issue and I imagine this is an isolated glitch on the model I tested. The binding is painted, rather than a separate material, however, proper binding is not expected in a guitar at this price. Some compromise must be made on these “affordable” guitars and if it was a choice between the Gibson pickups and the painted binding, then they made the right call. There are a lot of great features and aspects to this guitar. The combination of the pickups and solid mahogany body really delivers a stunning tone and play-ability is not far behind. It’s kinda difficult to look at a guitar of this quality and see the price tag and wonder just how much more value you could squeeze in. 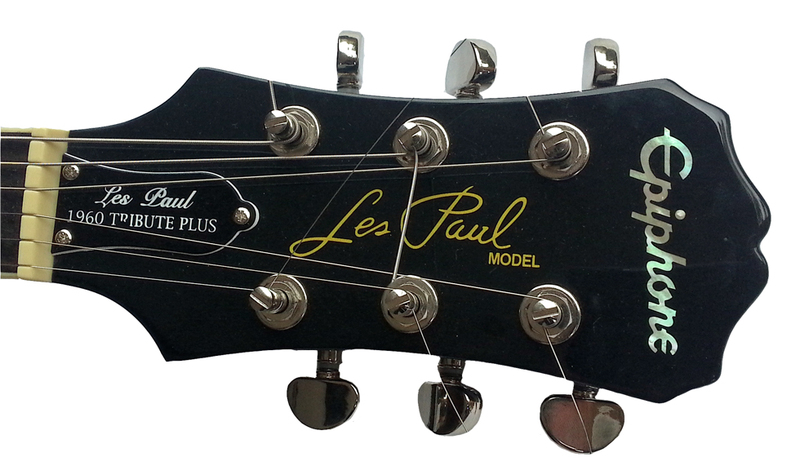 Value is hard to measure, but I really believe this is the best value Les Paul around.